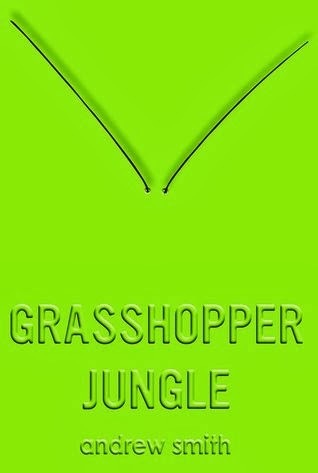 Grasshopper Jungle by Andrew Smith:Promo and Giveaway! Sixteen-year-old Austin Szerba interweaves the story of his Polish legacy with the story of how he and his best friend , Robby, brought about the end of humanity and the rise of an army of unstoppable, six-foot tall praying mantises in small-town Iowa. Readers will either love or hate this book. Austin is a teenage boy and the main character of this novel. His character is very honest and will make the reader believe what he is saying and feeling. He isn't so sure he's straight; he has a girlfriend, but still has feelings for another guy. I did like how funny his character was and how the author injected humor into nearly every scene of the novel. Ultimately, I have conflicting feelings about this book. I did like parts of it, but I couldn't really relate to Austin so I lost that "love for the character" that I sometimes have. He seemed more of a "friend who I might avoid" rather than someone I would root for. I did like the supporting characters and thought the author developed them well. The scenes were vivid and descriptive. Overall, this book is recommended to teen/young adult readers.